Dirt piles are fun to climb. Shame you can’t climb the dirt pile. Fredrieka, the dirt pile was even bigger today and I still don’t get to climb it. Come on over and we can break through the fence together and climb that pile. Marina, I was really tempted to, but my person had too tight of a hold on my leash. Kevin, they’ve already dug up some of the cactus but those prickly pear cactus are everywhere around here and the grow back really easily. There’s a big cholla cactus that’s just inside the fence that they haven’t hurt yet. I hope they leave that one alone. There aren’t that many cholla around here. Lily & Edward, if my person would only let go of my leash I’d have a blast in that dirt pile. Maybe you two could come over here and distract her for me. Bongo, do you still jump for thunder? Jackie, don’t even mention that word to me. Thunder is terrible! And we had some the other day too – and it’s not even the right time of year for it yet. Dirt pile privileges withheld? Cruel and unusual punishment! That’s what I say Karen. And it’s even worse now because those diggers dug a hole and they won’t let me help. Keeping all the fun to themselves. Just meanies! That’s what I’m thinking. She’s not going to want to crawl under so once I get far enough she’ll for sure let go of my leash. Lola, I totally agree. They’re going about it much too slow. You’d think they’d want an expert like me around. Love reading your blog, thanks for the share. love seeing the adventurous photos and the captions that go along with it. What breed is Bongo? Thanks Gloria. According to the dog jail where my people found me many years ago I’m a pointer mix. Sometime my person thinks I’m all mixed up. Bongo it is swamp backyard with all the rain – can you shove some of that dirt pile this way? Paw waves! Karen, I’ve been digging frantically in the dirt pile hoping some of it flies over to your house. It got a little muddy for awhile, but the rain has gone for now and it’s drying up so I’ll keep digging. Much appreciated since more thunder and sheets of rain today. Dog boredom tends to make dogs as well as people gain a few pounds. We can hardly wait for chill! I really love your post. Hope that you were able to find a way in. Sorry I took forever to get back to you. My person has been ignoring my blog and not helping me check my comments. The dirt pile is gone now and they paved the parking lot. Hi Bongo. I’m messaging some people on here to see if anyone has an idea on what we could use for our 2 dogs as potty grass. Do you have any experience or do you have any idea of what we could use? Thanks so much Bongo! I’m sorry I can’t help you with that Tula. All I have in my yard is dirt and lots of little rocks – and weeds. Some of those weeds taste good. Thanks Riley. They took away the dirt pile and paved the parking lot. But at least it’s easier to get to my trails now. Oh poor Bongo! I’m sure there will be more dirt for you to dig in somewhere in the future! Though that dirt pile does look like extra fun! Maybe you and your human can sneak in together for a quick dig, probably some great bones buried in there! Cheers! Can’t wait to see your next adventure! Thanks Seth. They took away that dirt pile, but my person just took the frozen tomato plants out of her garden and now there’s plenty of dirt to dig in there. Now if I can only get her to look the other way. Thanks Mags, Pooh, and Chancy – they finally took away the fence, but they took the dirt pile away too. A dog just can’t win. Oh, no!!! Shame on them for taking away the dirt pile. I’m thinking I might have to make my own dirt pile. But whenever I do it a hole shows up next to it. 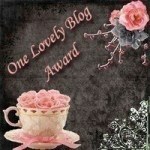 Enjoyed your blog so much! More adventures please. Thanks for letting me know you enjoyed my blog. I had a really good adventure the other day. Maybe my person will help me write about it. I just haven’t been able to get through to her lately.